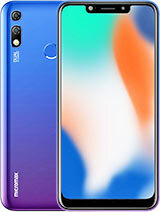 ya this phone is not having more features but think once guys it is 4500k price how much ur especting for this.each phone having some drabacks no phone in the world without drabacks.Nibuss is not working in this phone but u can install Ebuddy insted of that its work good with the Qwatery Keypad(each and every key will work) in this. then Opera mini is not having direct option to type in the Http:// box insted of that u can install UC WEB browser 7.4 version u can directly enter the website name it can support. then themes u cannot chage the themes in this handset its draback of this one.then it can play only 3gb format files only it can paly MP4 but u cannot see the video u can listen only the audio.its not a 3G phone but it having EDGE u can browse superb with this EDGE.actully the speed depends on the network 70% and mobile 30% what i mean it depends on network provider how much speed providing not fully depends on Phone. Then camera u have to change the settings then u can use it as 3.2MP not thatmuch upto the mark u can. then music the music player cannot identity anywher mp3 format files only it can search My Music Folder only. u can create a folder in memory name as MY Music then copy the folders inside in subfolders also u can. then u need to select music plyer settings as memory card then Refresh thats it. 1.it suports only 3gp video files. 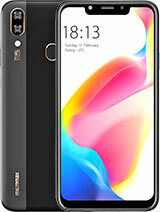 2.this mobile phone does not give the feture to add music in music player if you have to play music you have to copy all music files to my music folder else there is no solution. 3.you can not use your own theam in this phone. 4.sometimes it's track ball stop working. 5.application given with this phone are not developed for this phone like this phone gives in bilt opra mini braowser but when you type something it doesnot work. 6.it is not having some extra tools like stopwatch. 7.some of the feture are looks like chiness mobile feture like it's viedo player. in my opinen in this price it is very bad phone . i am telling all these things becouse i had buyed this phone and it upset me. it wants it does not happen with you. 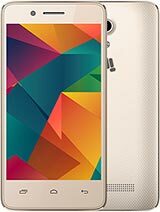 sushil, 14 Dec 2010Hi, It's too good .functionally well & all latest features.is there any problem in micromax q75 in playing video file? it does not play videos of anykind. is there flash in micromax q75? 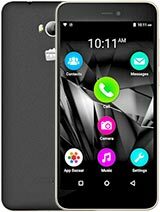 is micromax Q75 is a 3g mobile phone? nd ,U cant belived dat_the Internet Browser was so smooth n fast!! 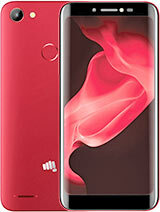 I'm very-very 'impressed "
And all-over this :I proud as a owner of a Micromax Q75 !! Hey friends, What is the opinion about MMX-Q75? i am planning to buy a new handset. my requirements are dual sim, GPS, mails, QWERTY, internet browsing, camera, FM. please suggest me which model is better for me? what is current price of both moels? It's too good .functionally well & all latest features.